The 2013 Kia Sportage is a compact SUV that touts dramatic styling, commendable fuel economy and a long list of standard and optional equipment. The Sportage may not be as big inside as the Honda CR-V or Toyota RAV4, but we think it has a more youthful appearance and delivers a sportier ride. The fact that it is roughly only twelve to thirteen thousand and long lasting. Good car probably last forever four cylinder engine with the same layout as my 95 Honda Civic accept this Kia will likely last allot longer because the engine although same design as the old long lasting Honda Civic models is bigger inside a bigger hood. Although the fuel efficiency is allot less than a Honda Civic the engine of the Kia has the potential to last a lot longer because It's easier to work on because It's bigger in a bigger compartment making it much more accessible than even a Honda Civic which is much smaller and more compact making those old school Honda Civics more difficult to repair even though there simple cars the Kia Sportage has the advantage of both a really economical Honda Civic as well as a truck because being bigger they can ironically be easier to fix and long lasting a few disadvantages might be the lower fuel efficiency compared to a Honda Civic or Nero but twenty or thirty years from now you might still be seeing alot of Kia Sportages. My Kia Sportage is the best car I have owned so far for reliability. 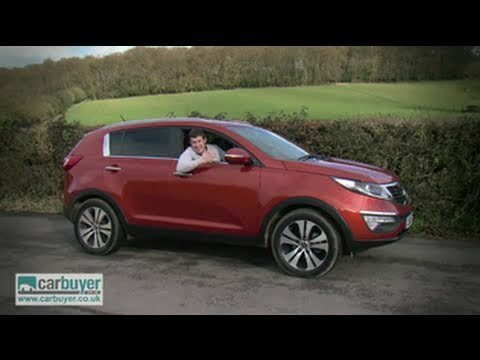 My Kia Sportage has turbo boost and it can go when needed. It is a very reliable vehicle. The seats are very comfortable, heated for cold and ac for hot. The steering wheel is comfortable and the car handles well in any situation. The AWD is ideal for snowy conditions. It has 2 sunroofs. One that opens in the front and one that does not open in the back. This makes for comfortable riding. The back seat has a cup holder and armrest that comes down between the two seats that is convenient, especially for long trips. The back seats fold down to create much room in the rear to haul larger objects. The back has a cover that you can pull over your groceries to keep them from the sun. The navigation is exceptional. It has voice command, Bluetooth, usb, radio, satellite, cruise control, AWD, easy to engage. The leg room in the front and the back is exceptional. Have had no problems with it and have owned it for almost 6 years. An all around great vehicle. This was my very first new car. I have had it for 5 years and it has been totally reliable for the entire time. I have never had any troubles with the engine or battery. Recently bought new tires for the first time at about 87,000 miles. Although I find it comfortable for myself I have noticed the backseat gets a tight quickly when adults are involved yet, I have used the car to move a few times and it packs quite nicely when the seats get folded down. I especially like the all wheel drive which helps get through the winter months. The eco feature is also a huge plus to help get the most out of your trips!